Homebirth midwife Evelyn Muhlhan, CNM was suspended as the result of 5 separate homebirth disasters, including a baby who died and Enzo Martinez, a baby rendered permanently brain injured. Enzo’s parents sued and yesterday were awarded $55 million … from the hospital. It will cost an incredible amount of money to care for Enzo and Muhlhan herself is judgment proof, since she apparently carried no insurance. Hmmm, who else was involved in the case that has lots of money? Ahh, yes, the hospital; Johns Hopkins hospital carries lots of insurance. Let’s sue them. Who’s actually responsible for Enzo’s brain injury? Who cares? … Patient B delivered a male infant (“Baby B”) by LSTCS, with a vertex fetal presentation and occiput posterior (“OP”) position at birth. The APGAR scores were 1 at 1 minute and 5 at 5 minutes and cord/Initial blood gas was ph 7.1; pC02 63; p02 10; BE -13. Baby B was limp and cyanotic on delivery with nuchal cord x 1, required PPV for 3 minutes before being transitioned to CPAP. Baby B was transported to the NICU on CPAP with diagnoses of Hypoxic Ischemic Encephalopathy and Seizure disorder. Baby B was transferred to a pediatric rehabilitation hospital on April 21, 2010. In other words, Muhlhan was horribly negligent in caring for this women and the hospital saved Enzo’s life. Enzo’s parents know this and do not dispute it. They insist that the hospital didn’t save Enzo’s life fast enough, contending that there was a delay in performing the necessary C-section. How did the jury decide that it was a purported delay at the hospital that resulted in Enzo’s injury and not the egregious malpractice of Evelyn Muhlhan? It was easy. Enzo’s parents’ lawyers successfully argued to disallow any evidence of Muhlhan’s negligence. Plt [Plaintiff’s] motion in limine to preclude any refence [sic], testimony or argument that ceritified nurse-midwife Evelyn Muhlhan Deviated from the standard of care and to preclude Loraal Patchen, CNM and Carolyn Gegor CNM from testifying is hereby heard and granted. Plt motion in limine to preclude any reference, testimony and/or evidence of Maryland Board of Nursings’ orer for summary suspension of Nurse-Midwife Evelyn Muhlan is hereby heard and granted. Plt omnibus motion in limine regarding certain irrelevant and prejudicial evidence is hereby heard and agreed upon as it relates to Group B Streptococcus, is agreed upon as it relates to genetic cause of E.M. injuries and is granted as it relates to deviation from standard of care not casually linked to array of harm (episiotomy). So in a case in which the homebirth midwife violated every standard of care and managed a few creative forms of negligence that haven’t been seen before, including attempting a home induction with pitocin and cutting an episiotomy before the baby’s head was anywhere near delivery, the jury never heard about any of it. Apparently, as far as the jury knew, Enzo’s mother arrived at the hospital in labor, had a C-section and gave birth to a baby with profound hypoxic ischemic encephalopathy. It could have been (and probably was) the result of multiple hours of labor at home and the egregious malpractice of homebirth midwife Evelyn Muhlhan, subsequently suspended from practicing specifically because of her negligent actions. But the jury was not allow to hear about Muhlhan and her actions. It is hardly surprising, then, that they blamed the hospital. Donald H. Beskind, a professor at Duke University School of Law … said juries are typically influenced by three main factors when deliberating on malpractice cases: the degree to which it’s clear who was at fault for the negligence, what money would do to improve the plaintiffs’ quality of life, and whether the defense did something to offend the jurors, such as attack the plaintiffs. It’s pretty clear how the money will help care for Enzo, and we don’t know whether or not the defense did something to offend the jurors. But how on earth was the jury to decide who was at fault when the evidence that Muhlhan was at fault was excluded before the trial even started? Hospitals and doctors know that when a brain injured child comes to court, sympathy for the child and his parents usually overwhelms any effort to rationally attribute blame. That’s why these cases are typically settled even when the evidence favors the defendant. It’s simply too risky to leave these cases to a jury who may vote with their hearts and not their heads. Stephen L. Snyder, a high-profile Maryland litigator, said the judgment has the potential to further discourage courtroom battles in malpractice cases. Already, most malpractice cases settle before trial, he said. 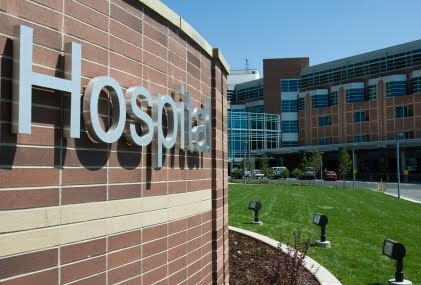 “If this case is a wake-up call to the hospitals and insurers, they may be more willing to bring closure to cases sooner and more efficiently without marring their reputation, which ultimately would unburden the courts,” Snyder said. The hospital plans to appeal the verdict, and it may yet be overturned by appeals judges who will consider only the legal issues and the facts of the case. It is natural to feel sorry for Enzo. He will have to live the rest of his life profoundly disabled because his mother wanted a homebirth. And it is difficult not to feel sympathy for Enzo’s parents who wake up every day and deal with the catastrophic results of their choice. They need money to care for Enzo. That may explain why they chose to sue the hospital with deep pockets when it was the malpractice of the negligent homebirth midwife that led to Enzo’s injuries, but that doesn’t make it right. Compliments for your work Dr. tuteur, Here in Italy the situation of birth is dramatic. For 45 years there are no updates in the Guidelines and the ‘widespread use of Kristeller maneuver continues to cause deaths and serious maternal / fetal / neoatal complicances. in Italy all make it, no one wrote in the medical records. at last institutions falsify data to avoid clinical legal compensations to the patients ..
I’m trying to figure out what you are saying here. Are you claiming that OB’s are taught to deliver babies? Or that they aren’t taught to deliver babies by utilizing the woman’s natural physiology? Or just that they aren’t indoctrinated in “alternate medicine?” Considering how many of my acquaintances have been able to deliver normally in the care of an OB — even if 30% of their babies are delivered c-section, a whopping 70% come out the normal way — I do believe that they _are_ trained to deliver babies. But OBs are also trained to recognize rising problems and to treat those problems appropriately. Plus, an episitomy when the baby is at the +1 stage is clearly malpractice! The trial court had already reduced the jury’s $55 million verdict as follows: The court to $2,621,825, and reduced the jury’s $26 million award for noneconomic damages to $680,000. The case is sent back to the trial court for re-trial. This was a civil suit so the plaintiff bears the burden of filing, and it seems to me that the plaintiff could plausibly opt out of the re-trial…? I’m not sure how this verdict alters the playing field. A little? A lot?